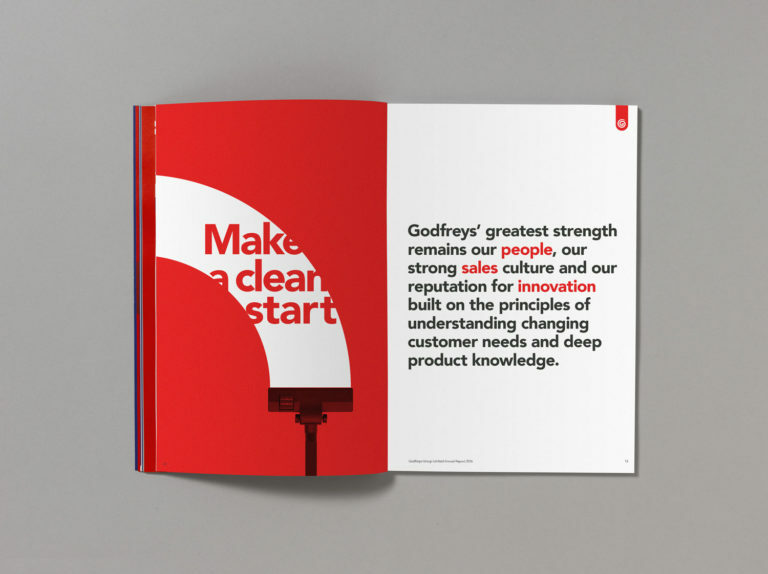 Our second Annual Report for the iconic home appliance retail giants. The recently listed company had a challenging year and was keen to keep the messaging to it’s shareholder and investors realistic and optimistic. 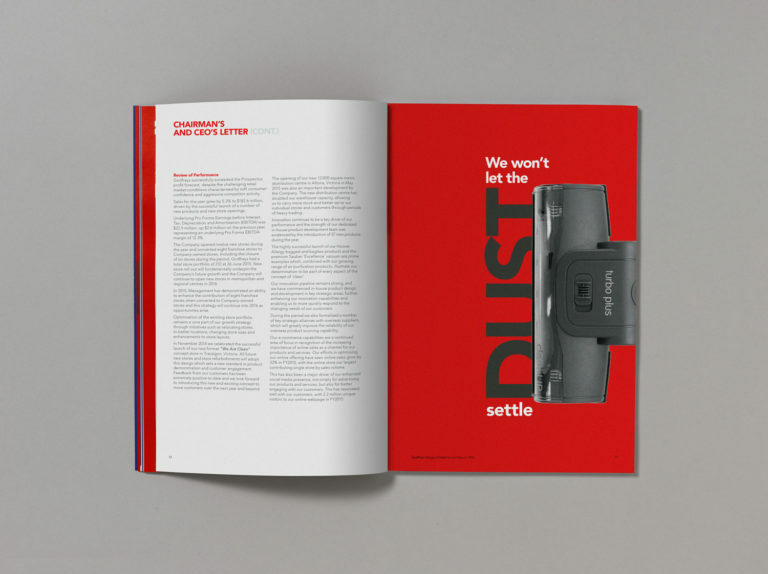 We came up with some clever copylines and visual treatments that spoke to this with a light touch and a dash of humour.